How to find out the volume of a cylinder. Work out the volume of a cylinder using feet and inches. 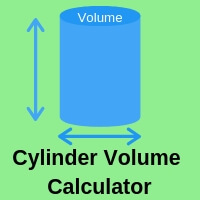 Calculate volume of cylinders or tanks. Results in either cubic feet, cubic inches, UK gallons or US gallons.